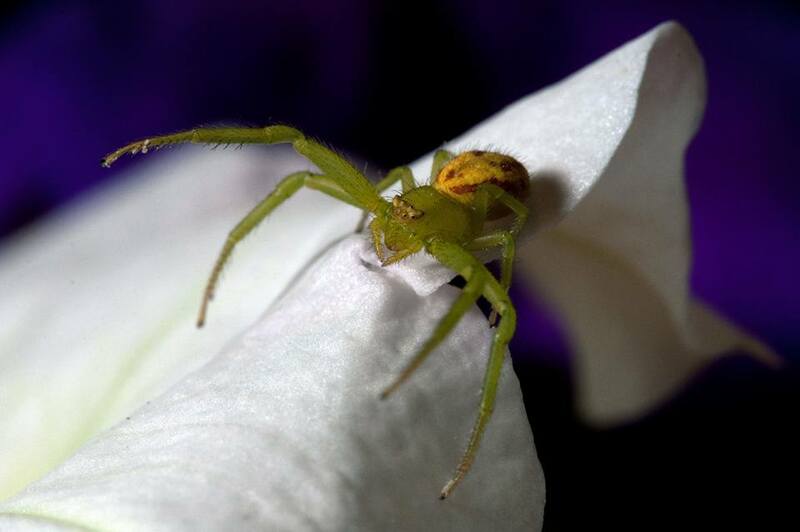 Misumena vatia (Golden-rod Crab Spider), female? At first I thought this was a Misumenoides formosipes, but it did not have the white, transverse ridge below the bottom row of eyes as stated in the ID info. Was found in a flower box on my fence in a patch of various colored petunias. Hi, yes. You did well with identifying your spider. Maybe I was wrong, this could be Misumenoides formosipes. The light-colored band is between the rows of eyes. Misumena vatia doesn’t have the red abdomenal markings.